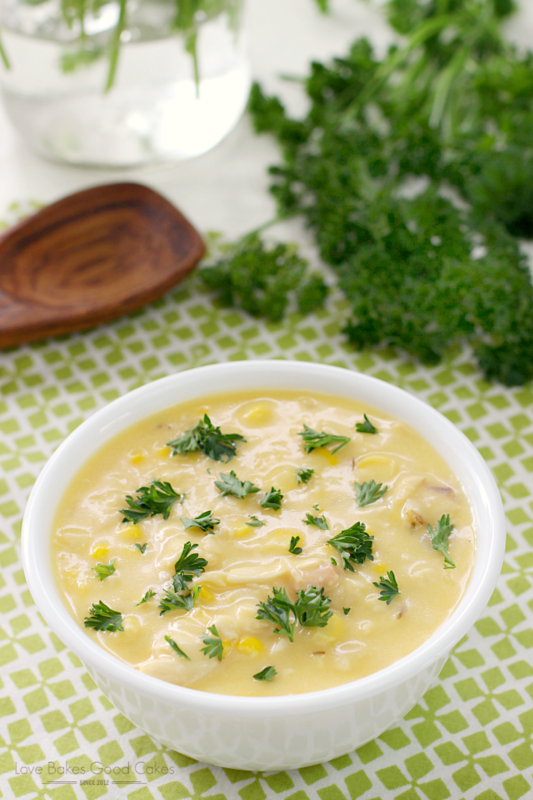 This Chicken and Corn Chowder is quick and easy to put together, making it perfect for weeknights! With it’s simmered all day taste, it’ll be a family favorite! 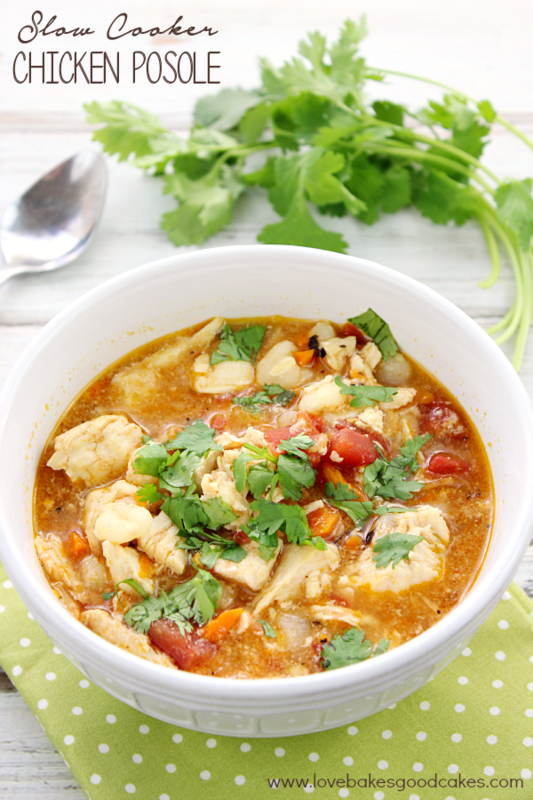 I’m such a big fan of soup and I look forward to cooler weather so we can enjoy it more often! So many of the soup recipes I have take several hours to prepare – and most days, that’s okay. However, there are some days when we need something quick, easy, and delicious! 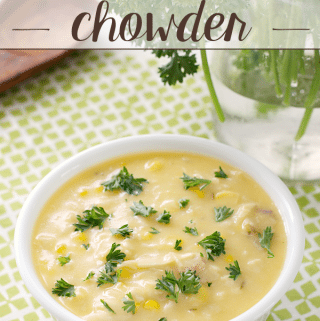 I’ve had this Chicken and Corn Chowder recipe for years and it’s one of my favorite recipes to use when I don’t have a lot of time, but crave the comfort of a warm bowl of soup! I usually use leftover chicken in this recipe but if you don’t have any leftovers – don’t fret … this recipe is still just as easy! It’ll take only a few minutes to brown up some chopped up chicken pieces before proceeding with the rest of the recipe! On nights when I have more time, I will skip the store-bought condensed cream of chicken soup and make my homemade version. It’s easy to make – note that the following condensed soup substitute makes enough for about ONE can of condensed soup, so for the Chicken and Corn Chowder recipe below, you will need to double this! To make condensed soup substitute: Melt 2 tbsp. butter in a saucepan. Stir in 3 tbsp. flour and stir until smooth and bubbly. While continuously stirring, add 1/2 cup chicken broth and 1/2 cup milk. Bring to a low boil, continuing to stir until it thickens. Salt and pepper to taste. Use in place of canned cream of “whatever kind” of soup. You can also add herbs, celery or mushrooms. 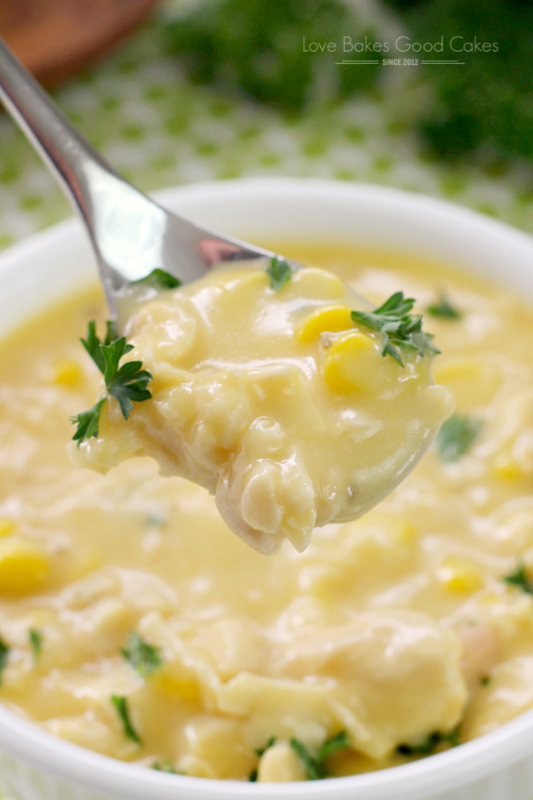 This Chicken and Corn Chowder is quick and easy to put together, making it perfect for weeknights! 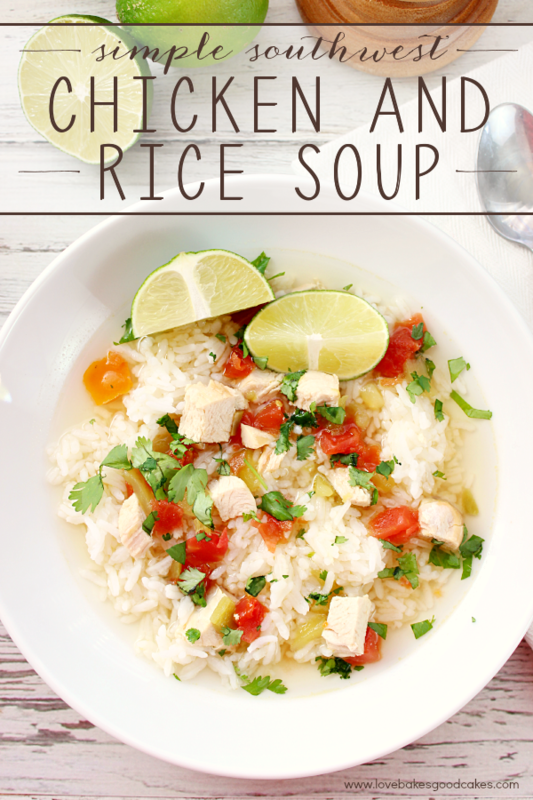 With it's simmered all day taste, it'll be a family favorite! In a soup pot or Dutch oven, melt butter over medium-high heat. Cook onions until they are soft, about 3-4 minutes. Add the condensed cream of chicken soup, milk, and rosemary. Stir in chicken and corn. Continue to cook, stirring occasionally until all ingredients are heated through, about 7-8 minutes. 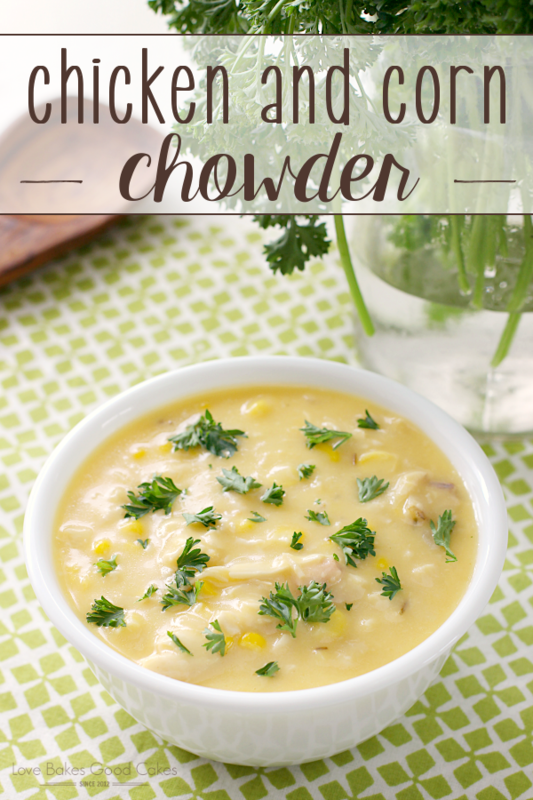 I just love a great Corn Chowder and the addition of the Chicken looks awesome! Hope you are having a great week and thank you so much for sharing with Full Plate Thursday. This one is so easy and yummy! 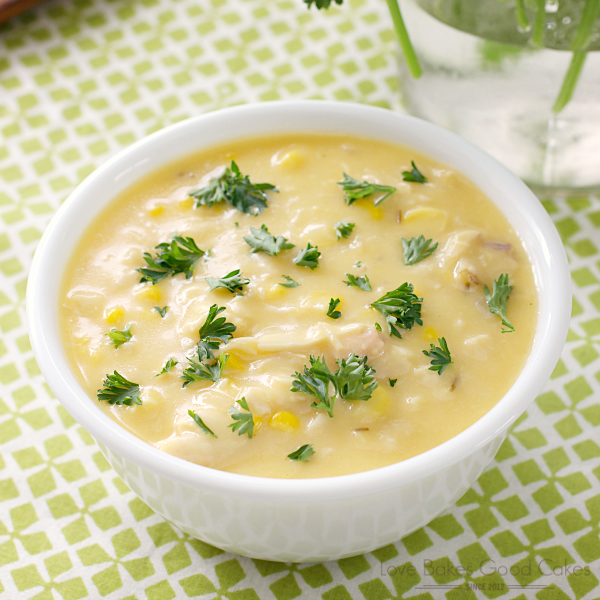 Love corn Chowder, how smart to add some chicken to it! Thanks for sharing! Thank you for stopping by Michelle 🙂 Have a great weekend! 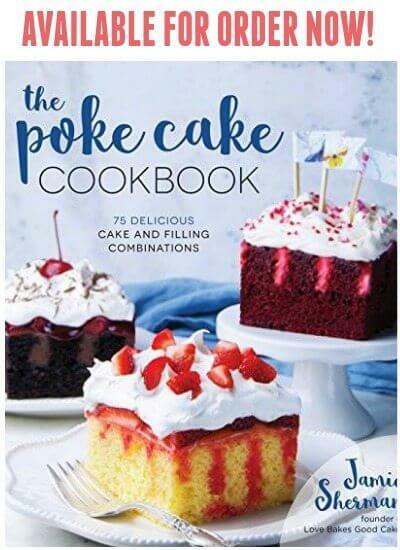 Another super great recipe just after my heart. This looks like just good comfort food:) Thank you for sharing at Freedom Fridays! Love chowder yours looks great. Thanks for sharing with us at Link It Up Thursday. Sounds good and its easy too! Great combination. 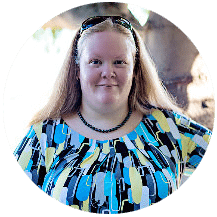 Thank you, Debi 🙂 Especially for the feature! Wow this looks and sounds scrumptious!!! Thank you SO much for sharing this recipe! Yum, this looks so good! Thanks so much for sharing at Tout It Tuesday. Hope to see you next week. This is a very nice chicken dish. Would you be happy to link it in to my Chicken Edition of Food on Friday? This is the link . I found you via Melt in Your Mouth Monday. Thanks again for sharing at Mom's Test Meal Mondays! Thanks for sharing at Saturday Dishes. I like the sound of this. Next Saturday we are featuring BLTs. Hope to see you there. Yummy! I am so ready for soup season and this looks perfect for a busy day!